Another violent robbery/assault occurred in Windsor’s east end on Monday night around 10:20pm. A youth was allegedly robbed and assaulted by a group of approximately 15 black males at the Ford Test Track near Reginald. The suspects made off with the victim’s iPod and an undisclosed quantity of cash. 1) On Thursday, May 20th, a man was attacked and robbed at the intersection of Erie Street and Victoria Avenue just after 9pm. The 2 assailants pushed the victim to the ground, took an unknown quantity of cash from his wallet, and then ran off. One of the robbers was described as a black male, approximately 20 years of age, wearing a white shirt and black jeans. The second assailant was described as also being a young black male. 2) On Friday, May 21st, well known gay rights activist, Chris Rabideau, was robbed and brutally assaulted around 1:30am at the intersection of Ouellette and Erie Street. After taking his wallet, the 2 suspects then followed him into his apartment lobby and continued to attack him. 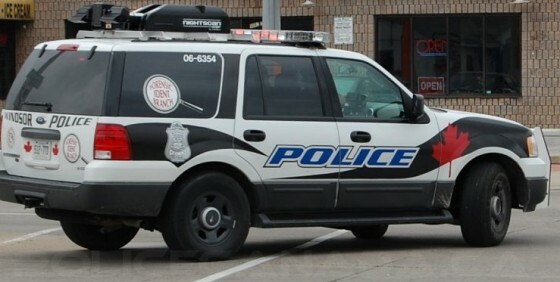 3) On Monday, May 24th, a young male was jumped and robbed by four other men on Riverside Drive in downtown Windsor around 12:50am. The suspects stole the victim’s cell phone and wallet while attacking him. No weapons were used during the incident. The victim may have indirectly known the perpetrators through an unidentified connection, according to police.